Vivekananda, the Hindoo missionary, lectured at the Hotel Richelieu last night. * The parlors of the private hotel were filled to overflowing with a crowd of ladies. 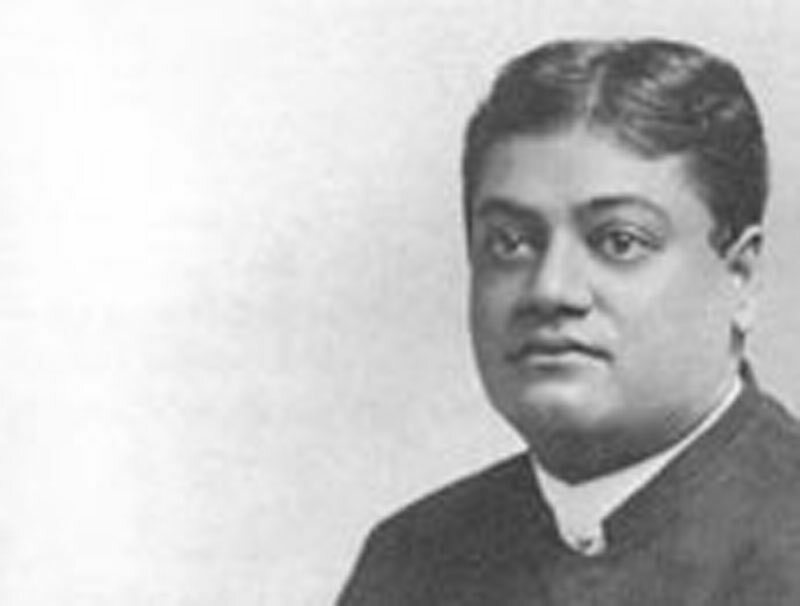 When Vivekananda arrived at the hotel it was with difficulty he worked his way in. He went upstairs and very shortly came down again robed in a purple gown, caught about the waist with a purple cord. Vivekananda in his talk said that there were various religions and each believer thought his religion the only true religion. It was a mistake, he said, to suppose that all should have the same religion. there would be no religion. No sooner does a religion start than it breaks into pieces. The process is for the religion to go on dividing until each man has his own religion, until each man has thought out his own thoughts and carved out for himself his own religion. Vivekananda will remain in Detroit about two weeks and will give classes every morning at 11 o'clock and every evening at 8 o'clock at the hotel. . .